Martha Stewart is ruining eBay for me. Every weekend, I take a moment to relax and execute two searches: 1) Sour Cream Glass and 2) Sour Cream Glasses. (For some strange reason, these searches don’t yield the same results.) These glasses are generally vintage glasses that sour cream manufacturers used to package their sour cream in as a freebie gift, like jelly jars. They come in pint and half-pint sizes; I’m definitely partial to the half-pint glasses. 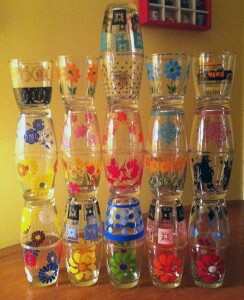 Over the years, I’ve found some great buys on these gorgeous little glasses that we use in our home everyday. They’re perfect for wine, juice, or a quick glass of water. I never worried about breaking these glasses because they were so ubiquitous. Sometimes, I even found the glasses at thrift stores priced at $.50 or $1.00. I fear this will never again be the case. 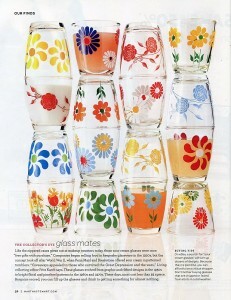 Martha Stewart’s magazine recently featured sour cream glasses in its, “Our Finds,” section. (PS they have a new section of the same name on their website.) 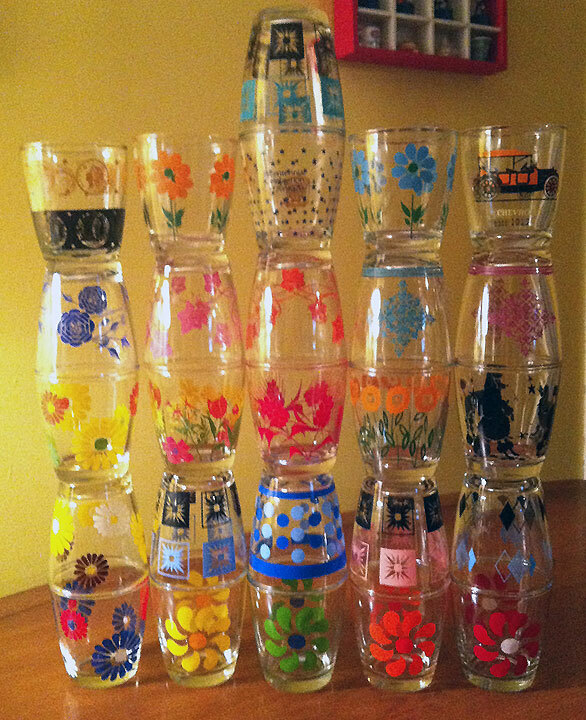 Suffice it to say, the prices for sour cream glasses are skyrocketing on eBay. I’m thinking maybe I should start selling my collection, but I’m too in love with all the patterns. Oh well, maybe this trend will die down soon, and I can go back to scoring them for a reasonable price (or at least less than $10.00 per glass)!